We have brought here a very well-edited table design that goes very well also to each of your specific interior types! 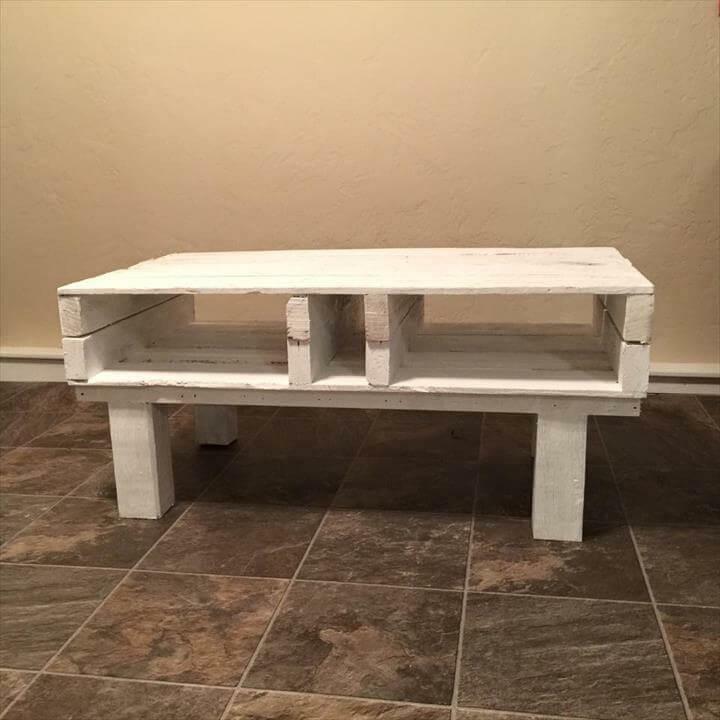 This DIY Rustic pallet coffee table is nice combination of rustic wood and modern chic white paint and only pallet have been used to install this sustainable table creation! 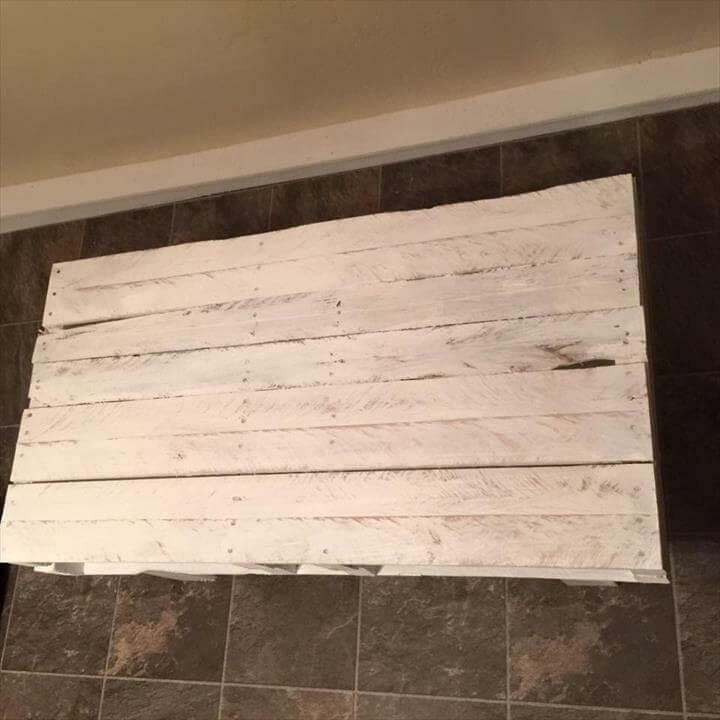 By joining the both bottoms of two pallet boards, a nice storage-friendly top has been made that sits very beautifully on some thicker short legs also made of pallets! 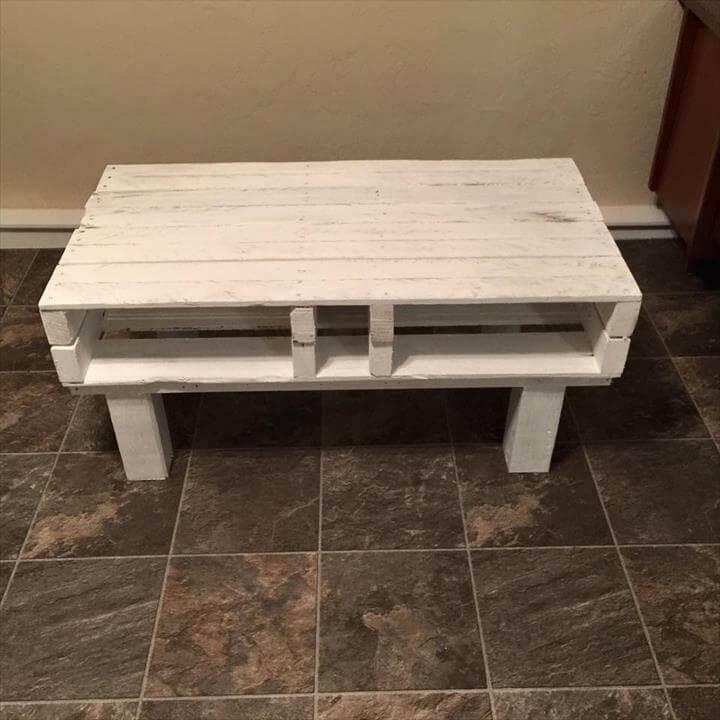 Design of this DIY pallet table is very innovative and has been added with some personal cozy features! The supplies to build this designful table are not out of ordinary and you may probably have them already in home! 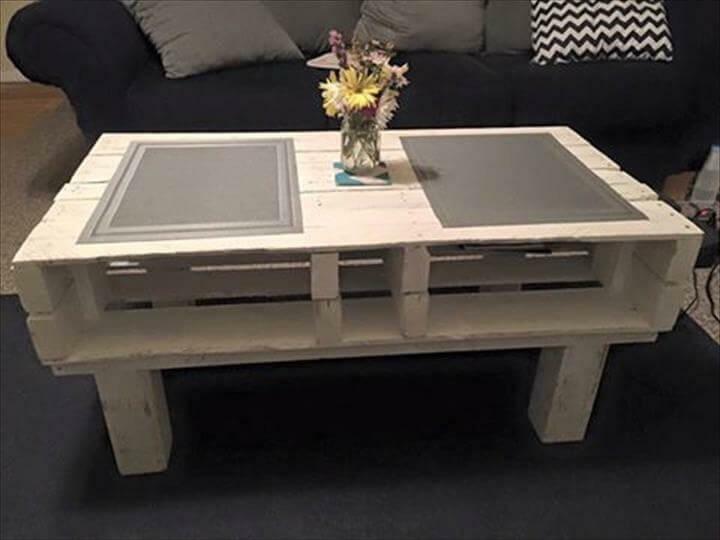 Two or more short shipping boards and some water base chalk solution will be enough to clone this fab craft of table! Get your inner creative person out and let yourself involve in DIY projects to grow your confidence as there is still much to explore with your own creative mind! Whole pallet have been assembled so creatively that top comes with brilliant storage options! it appears shabby chic due to a complete topcoat of water based check! You can select many other option for an antique and mid century inspired appeal! It will not only support you in guest entertaining purposes, but will also be awesome to hold some decorative art toys and centerpieces for a visual boost to your patio or living room! The prize tag on it which is merely nothing, is just unbeatable! Perfect to serve you as a conversation starter in your cozier living room!